ComingSoon.net was lucky enough to attend the Star Wars Celebration panel for The Mandalorian, the first live-action Star Wars TV series ever, and we got to see a trailer, a featurette and roughly five minutes worth of edited footage. Check out a short description of The Mandalorian footage below! 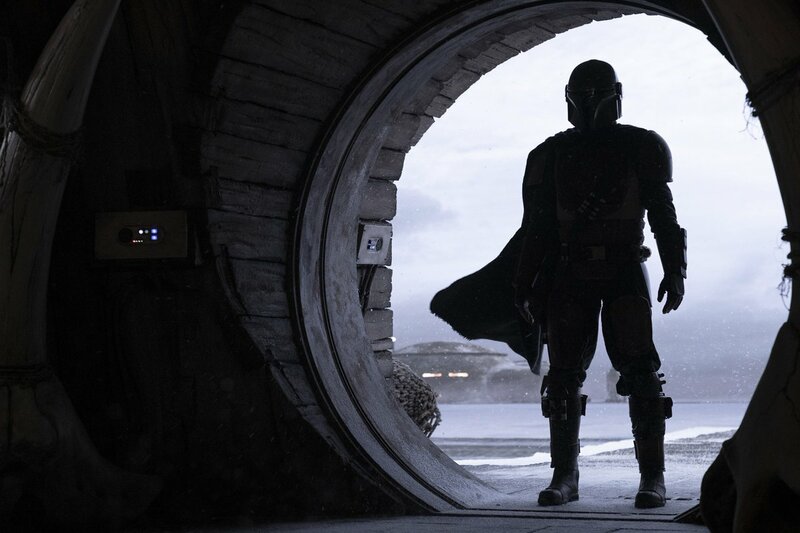 THE FEATURETTE: This first video footage showed the title character of The Mandalorian (Pedro Pascal) in full regalia walking through a snowy landscape holding some kind of homing beacon. It cuts to him walking through a circular portal into some sort of den of iniquity with some aliens in it. It then cuts to a very cool shot of Mandalorian’s ship The Razorcrest landing on another exotic planet, which we learned later was done with old school practical models and motion control as opposed to CGI. It then starts cutting to behind-the-scenes footage of sets, production designs and talking heads. Jon Favreau confirms the show takes place 5 years after Return of the Jedi, and revolves around the title gunfighter/bounty hunter who thrives in the underworld on the outer reaches of the galaxy. Pedro Pascal compares his armor to that of medieval knights. There’s a cool piece of art showing him riding on a dewback in the desert, as well as another one of the Jawa’s armored sandcrawler and the Mos Eisley cantina, indicating the show will go to Tatooine. It ends with fast-cutting shots of explosions being filmed, art of Mandalorian blasting folks with a laser turret Django-style and some commentary by the shows different directors like Rick Famuyiwa, Deborah Chow and Dave Filoni. THE TRAILER: The roughly one-minute-long teaser trailer starts with The Razorcrest flying through space, then having landed on a bleak-looking planet and asking about Gina Carano’s Cara Dune, who is sitting in the back of a shelter/outdoor bar at a table. It cuts to them beating the crap out of each other and winding up on the ground pointing guns at each other in a Mexican standoff. We see Giancarlo Esposito as another Imperial villain character leading a squad of Rogue One-style Death Troops in an attack on a village. A more traditional stormtrooper design painted with red stripes uses a flamethrower on a building. We see the Mandalorian entering the famous Mos Eisley Cantina, where the former Jabba’s palace robot EV-9D9 is now the bartender. So much for not serving droids! We see some bounty hunters including one played by Bill Burr. We see some Jawas firing, Burr firing back, a jump to hyperspace, a creature riding a blurrg, the devil-horned Kardue’sai’Malloc character, and Gina Carano firing a laser turret. The coolest scene was definitely IG-11 spinning around and firing blasters in a shootout. We see Esposito’s character flying a tie fighter and then The Mandalorian in a fight with stormtroopers where he hits one so hard he shatters its helmet. The final shot is Mandalorian holding up the same staff weapon he had in The Star Wars Holiday Special, and it looks badass. THE SCENE: We were also privy to a five-minute scene where The Mandalorian sits down at in an alien-filled bar with Carl Weathers’ Greef Karga. He has 4 or 5 of these little glowing pucks that seem to be markers for folks looking to track down a bounty. The Mando wants to take them all but Greef needs to divy them out among the other trackers. The highest paying one won’t cover fuel costs, but Greef has an illicit underworld client with deep pockets that has a hush-hush job for him. It cuts to The Mando walking through the frontier town past a market where someone is spit-roasting a Salacious Crumb-style Kowakian monkey-lizard, which made the audience cheer. There was another one in a cage, possibly Salacious himself. There are some slower-paced lingering shots of him walking through some back alleys to a door, where he’s confronted by a TT-8L gatekeeper droid. Mando holds up a card to the droid and is let into the building, where a gonk droid leads him to a dingy backroom where Imperial stormtroopers guard Werner Herzog’s character. When a doctor character enters The Mando holds up his gun on his guard, and the troopers hold up their weapons. He’s told he’s outnumbered 4-to-1 and he says he likes those odds. Herzog de-escalates the situation and makes a deal with The Mando to collect a bounty in exchange for Imperial gold, which he gets an advance on in the form of one bar. He is told to bring his bounty back alive, but if he has to kill the person to provide proof of death for less payment. RELATED: Check Out 3 Days of Star Wars: Galaxy’s Edge Toys & Merch From Celebration! Pedro Pascal (Kingsman: The Golden Circle) will star as a lone Mandalorian gunfighter in the outer reaches of the galaxy and will be joined by Gina Carano (Deadpool) who plays Cara Dune, a former Rebel Shock Trooper, having trouble re-integrating herself into society. ; and Carl Weathers as Greef, a man who heads a guild of bounty hunters that hires The Mandalorian for a specific job. Also set to star in the series are Giancarlo Esposito (Breaking Bad), Emily Swallow (Supernatural), Carl Weathers (Predator), Omid Abtahi (American Gods), Werner Herzog (Grizzly Man) and Nick Nolte (Affliction). Jon Favreau serves as executive producer and showrunner for the series, DIrectors for the first season include Dave Filoni (Star Wars: The Clone Wars, Star Wars Rebels), who will be directing the first episode, plus Deborah Chow (Jessica Jones), Rick Famuyiwa (Dope), Bryce Dallas Howard (Solemates) and Taika Waititi (Thor: Ragnarok), who will also provide the voice for bounty hunter IG-88 in the series. 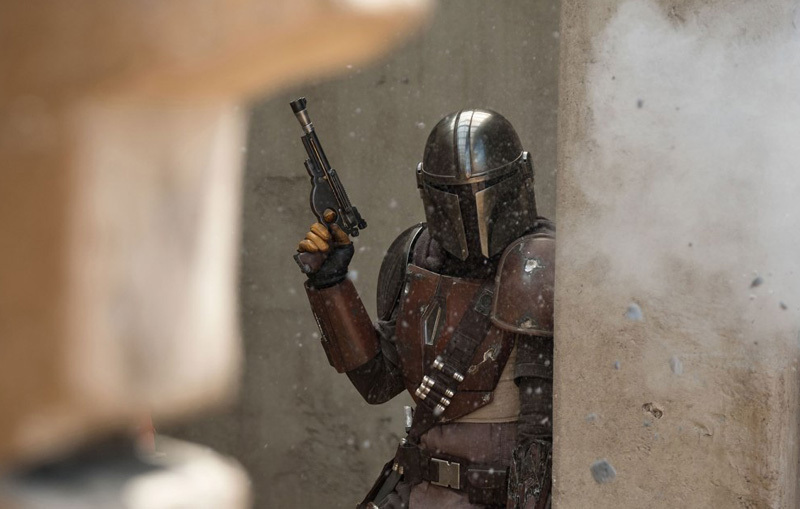 The Mandalorian will be executive produced by Jon Favreau, Dave Filoni, Kathleen Kennedy and Colin Wilson. Karen Gilchrist will serve as co-executive producer. The live-action series will debut exclusively on Disney+ on November 12. The post The Mandalorian Footage Description From Star Wars Celebration appeared first on ComingSoon.net.